OCF under harsh lighting conditions - Gonzales Photography Inc.
Aug 15, 2018 | By: Gonzales Photography Inc.
Do you only shoot during certain times of the day? Are you a photographer who doesn't understand lighting? In this class we are going to address several questions that I have been asked by other photographers. 1. What time is best to photograph people? 2. Do I need any special filters to use a wider aperture? 3. Can I use high speed sync (HSS) to overpower the sun? 4. My subjects eyes appear darker and I have dark shadows under their nose and chin. How can I fix this? 5. When I photograph my subjects why is my sky blown out (over exposed)? 6. Can I use flash to light my subjects and use the sun as a separation light? 7. Do I need to buy an expensive strobe and battery pack to use out doors or can I use my speedlights (flash)? These are just a few of the questions I have been asked by other photographers from around the United States and Puerto Rico. We will address each question and then I will also tell you different ways I photograph my clients to flatter them and also retain detail in my skies. 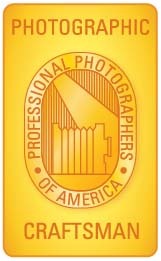 I am a certified professional photographer and a business owner. When I am not photographing I am losing money, so I photograph at whatever time the client wants to book their session. That could be 8:00 in the morning or mid day at high noon, it can also be at anytime from 9:00 until 5:00 in the evening or even later for those specific clients needs. 2. Do I need any special filters to use a wide aperture? Not necessarily and I will tell you why in two very simple paragraphs! If you have the capability to use HSS aka High Speed Sync you will not need any special filters but you will need consistent power output. High powered strobes that I would recommend are the expensive Profoto B1, B1x and B2 series, Godox (Flashpoint) Xplor 600 PRO, Interfit S1, Photix Indra 50are just a few. I personally use the Profoto B1 series because not only are they 500 W/s they are also very durable and have lasted me for the last 4 years. All of the lights I mentioned above not only are self contained battery operated but they allow you to use HSS so you don't need to use a filter to obtain that nice creamy out of focus background aka BOKEH. The other advantage is portability, consistent kelvin temperture and light output during the sequence of HSS and ease of use! Those are just a few reasons you don't need a filter! Yes you can at the expense of consistency in both power and kelvin temperture. When using HSS you will have to move your light source close in towards your subject due to the fact that the strobe or speedlight has to fire multiple times as the second curtain begins to close and follow the first curtain. Because the strobe or speedlight is firing multiple times the power diminishes and as a result your kelvin temperature changes a little bit. When I say it changes I am only talking no more than 500 degrees! Have fun and buy the strobe or speedlight that will yield the best results. Well there are several ways you can fix this and the way I suggest is to bring in a light source with a modifier that will give you what you're looking for. Think of the outside like your studio space, only out doors. I often times use a 2' octabox, 1x3 strip light, 53" deep umbrella or a 7" parabolic reflector to give me the look I am looking for or with the 53" deep umbrella, soft transitions from highlights to shadows. These modifiers with light source provide the ability to open up the shadow areas like under the eyes, nose and chin. If you are using the sun as a backlight your subject goes into shadow and to expose for your subject you overexpose your backlight which in turn blows out the sky. The use of a strobe or speedlight will allow you to expose for your sky and light your subject for either balance or mood. Yes you sure can! I do this all of the time because it is the style I have adapted over the years. If you meter for your ambient you will have no blown highlights and the sky and hair will be properly exposed. Then you meter for your light because remember, shutterspeed controls your ambient light and aperture controls your flash. Definitely not! Whatever will provide you with the power you need is the tool to use for your photography. I started out with 2 Nikon Speedlights ganged together, then eventually moved up to 3 speedlights and now I only use Profoto B1's to give me the look I am after. There are several other brands on the market that will give you the power of the B1 but lack the consistency in Kelvin. Good luck and I hope that this blog was information that was helpful for everyone reading! Gonzalo Verdeja - Thanks for sharing. Great information and amazing photos as always!! Ryan Gonzales - Thank you! Victoria Vasilyeva - Great photos! Thank you for sharing this article! Ryan Gonzales - Thank you Nicole! I am very passionate about educating others and continuing to raise the bar. Nicole Manan - A really informative post, thanks for all the great explanations. You truly know your art and profession! Ryan Gonzales - Andrea thank you for your positive comment, I am very passionate about education. Ryan Gonzales - Thank you Lauren! Ryan Gonzales - Thank you Tamieka your comment is greatly appreciated. Ryan Gonzales - Thank you for your comment..
Tamieka Smith - HSS is a wonderful thing to use. I love how it transforms pictures and make them into a piece of art. Love your work. Lauren - Great information! Love the photos. Andrea - Filled with facts and spoken from the best of photographers. Thanks for sharing your knowledge in this post! Lauren Sandor - Such great advice, especially for wedding photographers! I personally shoot whenever my client wants, bright sun can sometimes make the BEST photos! Kelly - Super informative article! Thank you for sharing.